Dave Reynolds will be inducted into the Delaware Lacrosse Hall of Fame on June 9th at the annual All Lacrosse Dinner in Dover, DE. Dave was a 1996 graduate of Caesar Rodney HS where he was a two time All-State player, All Star MVP, and Player of the Year. He was also an All-State football player and a state champion wrestler. 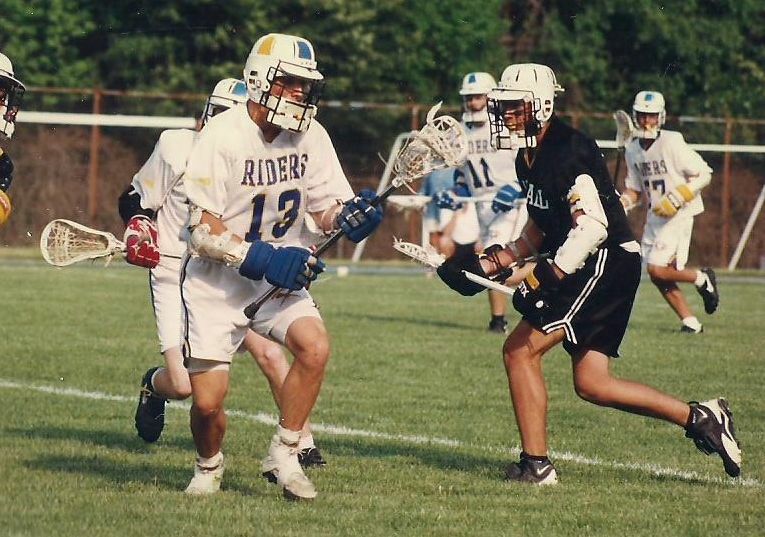 At CR, he led his team to the state championship just three years after lacrosse began at the school. His work ethic came with a price as his injuries caught up to him in college. A surgically repaired knee slowed him down, but three cracked vertebrae ultimately finished his playing career. He did not let this slow him down. After graduating from Delaware, he volunteered at Salesianum for two seasons. Then, he was hired to teach and coach at St. Mark’s. There, he took a losing team to the state finals in just three years which earned him Coach of the Year honors in 2002. From St. Mark’s, he became the head coach at Wesley College in 2004. Unfortunately, his untimely death did not allow him to follow that dream. Dave’s impact is still evident today. An annual lacrosse festival is held at Wesley College in his memory. The event is capped off by a game between Caesar Rodney and St. Mark’s, his two signature schools. Honoring those individuals whose dedicated service to the development of lacrosse and/or whose truly outstanding play has promoted the game of lacrosse.